JayJay here. Jim has written many wonderful and moving introductions and tributes to the people he has known over the years. Here are some more. When I first moved to New York City in 1976, as it happened, Dave had a room to rent and I needed a place to live. We didn’t know each other at all, but it worked out fine for the eight months or so I stayed there. Dave was good-natured, easygoing and easy to get along with—also, totally honest and honorable. The place was great. I tended to avoid the room where he kept the snakes and lizards. They stunk. Or, I guess, some of what they ate stunk. Anyway…. Dave was drawing the Uncanny X-Men back then and I was working on staff at Marvel and writing the Legion of Super-Heroes for DC—that seems odd, I know, but it’s a strange biz. Anyway, Dave loved kibitzing on my LSH stories. He always had good suggestions and insightful comments. Both of us loved the LSH. Dave had his drawing table set up in what otherwise would have been the dining room, just off the kitchen. I did most of my “homework” and writing sitting on the living room couch, in sight of his workspace. We’d talk. Not the best thing to do while I was trying to write, but we had some really great conversations about work, life, the world and what could be done about all of the above. Dave and I worked together a good bit while we were both at Marvel, and a few times after that. Dave was a great artist and an amazing creator. His work and his creations changed comics dramatically, irrevocably, forever. Let me emphasize that: he changed the paradigm. If you don’t know that, it’s because you don’t know enough about what went on to know that, and because you never worked with him. He doesn’t get nearly enough credit. Through thick and thin and thinner and thinner, Dave and I always remained friends. Even when being a friend of mine wasn’t fashionable. I’ll miss you, Dave. This world is significantly poorer without you. For decades, Paul S. Newman wrote Turok Son of Stone. During its long run, the marketplace underwent dramatic changes. No matter. Trends flourished and vanished. So what? Turok was a constant, a unique, all-weather, all-terrain title built to last. That’s amazing. Paul was King of the comic book writers indeed. Will Eisner was good and kind to me when that was not fashionable. He was always glad to see me no matter what the fanzines and fatheads were saying about me at the time. He had been unjustly vilified more than once during his long career, so he saw right through the nonsense. We were friends. We had many long talks about the business and life in general. 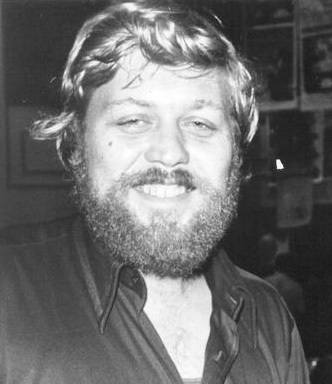 Though he was thirty-four years older than me, we had a great deal in common in terms of experiences in the business, the never ending battle for truth, justice and distribution, fatheads, etc. Will always made me feel that “…this, too, shall pass away,” no matter how bad “this” was. Press on, he said. I did. Wise, thoughtful, brilliant, insightful—what a man. What a loss for all of us his death is. It is only polite to mention that he was a genius, but you already knew that. I was looking for an appropriate place to comment, and this seems to be a good place. Back in 1978-79, Jim Shooter was a featured guest for some event Eastern Illinois University was sponsoring. I was working for the campus radio station at the time, and the faculty adviser for the station was a big comics fan. I'm guessing he was instrumental in getting Jim to EIU. Jim gave a fascinating talk and brought tons and tons of original art (and some finished art from…I think it was "Weirdworld". Not sure at this late date.) At one point he held up a piece where Colossus was throwing a full-body punch at someone, and said to us, "That was me. I was living with the artist at the time and every so often he'd ask me to pose." Jim, just wanted to say how much I enjoyed that evening and how fondly I recall it, even to this day. I was never lucky enough to meet Dave Cockrum but I was always a huge fan. I had a friend who owned a comic shop back in the day. He ran into a little trouble with censorship. This was back before the Comic Book Legal Defense Fund. If it wasn't for Dave & Paty Cockrum helping him get in contact with the right people (again this was pre-CBLDF), he's positive he would have done some jail time and at the very least lost his shop. He never stopped praising them for their generosity and help. Dave Cockrum's costume designs for the casts of the X-Men, and – most appropriately – the Legion and the Futurians are timeless. Are you referring to his X-Men as what "changed comics dramatically, irrevocably, forever"? I had never known that Will Eisner had also "been unjustly vilified more than once during his long career." Perhaps those baseless accusations, whatever they were, did indeed "pass away." "Truth, justice, and DISTRIBUTION" – the three principles of American comics! PS for Brian Postman: Thanks for sharing your encounter with Dave Cockrum and a few other highlights of your own history. Just noticed your SVA class photo with Will Eisner on your site! I, too, went to SVA from '84-88 and Will Eisner was a great man and to this day when I draw I think of Will. I do seem to remember the above poster dropping by the class one day, too. 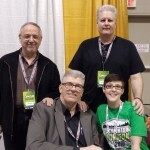 Alos, I sat next to Dave Cockrum at a con in Rockland County, NY years ago. What a lovely man. We talked about the Avengers and Dave's Futurians a lot of the day. I noticed Dark Horse solicitations for Doctor Solar, Man of the Atom Volume 2 TPB mentioned it would include a foreword by Jim. This trade paperback was scheduled to go on sale March 23rd. If it won't be published after all, I hope Jim's foreword can be shared here someday. According to Wizard: The Beginning of the Valiant Era Special Edition, Paul S. Newman wrote over 35,000 pages of comic books making him the most prolific writer in the history of the comic book medium. Of course, this magazine was released in 1994. Has that record been surpassed by anyone since then? I'd be interested to see calculations indicating how many pages Jim has written. Reminds me of the old syaing, you have to hear both sides of the story. I've been reading the JB Forum for a long long time, and made a mental image of you.But everything I read here makes me consider and re-consider. And phrasing like these words above are just genius! Lovely tributes. 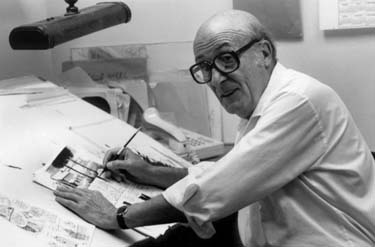 I especially enjoy reading anything about Will Eisner. I confess to being one of those guys who probably doesn't appreciate David Cockrum's contributions enough. I enjoyed many comics we drew, and yet he has always crossed the finish lien a fair bit behind the superstar artists I've much admired over the years. Yet I find myself intrigued by this idea that there was much more to his contributions that I didn't know. Perhaps one day I will learn of some of these things, and gain a greater appreciation in so doing. Thank you for writing these, Jim, and thanks for posting them, JayJay. Much appreciated. Typos in my rely above. I never met dave, but I did meet his wodow after he passed. I bought quite a few pages from her. What would the modern X-Men be without his character designs?